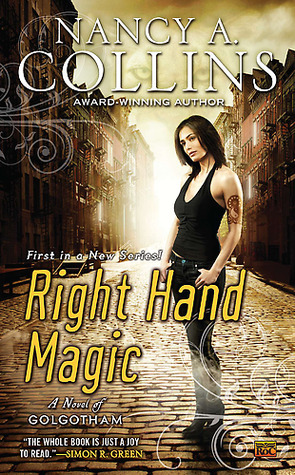 The 12th book in the October “Toby” Daye urban fantasy series. This are not well in Toby’s small found family. The two people who were kidnapped in the previous story are still trying to recover from their nightmarish experiences. One of them is Toby’s beloved Tybalt, who has closed himself off from Toby. He doesn’t talk to her and he doesn’t even visit her anymore. Toby desperately wants to help but she doesn’t know what to do. Then her ex boyfriend Cliff and his wife Miranda come to Toby’s door, accusing her of kidnapping Gillian, Toby and Cliff’s daughter. Gillian goes to Berkley collage and she’s disappeared, leaving behind her car. When Toby’s recovered enough to spring into action, she promises to do everything she can to find her daughter. Even though Gillian is now a human, Toby suspects that someone is trying to hurt her through Gillian. Cliff and Miranda have come during the morning which is a bad time for the fae. Toby still wakes her squire Quentin and her twin/death omen May demands to come along, too. At the collage, they find Gillian’s strange roommate who apparently is part-fae and hero worships Toby. Toby and her friends start to really dislike her but she brings them to Gillian’s abandoned car. Then things get a lot stranger and worse. I love Toby’s extended family. This time, they’re somewhat scattered which makes things a bit harder for Toby. But she’s willing to do anything for her daughter, of course. And so will May who has all of Toby’s memories and so in a way, she’s also Gillian’s mother. May’s girlfriend Jazz was also kidnapped and she’s also suffering but we don’t see her much. This book is more somber is tone. But we get to find out some very interesting things about people close to Toby and about how the current relations between the fae and the humans came to be. Toby’s life changes again. Also, things from previous books come back to haunt our heroes. However, the book also has lot of exposition which felt rather needless. This is another good addition to the series, even if it’s not one of the best. 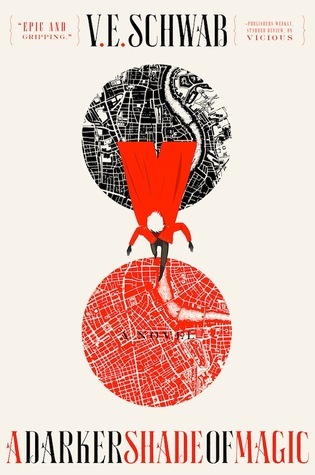 Once again, I wanted to reread the series to both enjoy them close together and also to pick up any clues I missed. 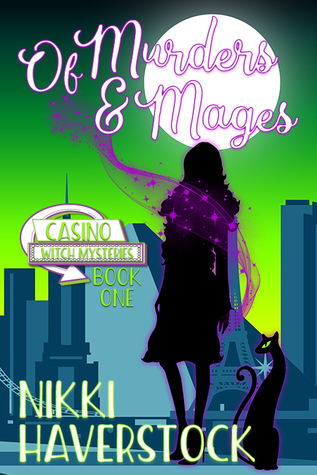 The first book in a romantic urban fantasy series Golgotham. Tate was born into filthy rich family, but she loathes her parents and their lifestyle. She’s trying to make a career as a metal sculptor and her parents think that’s just a phase. So, she wants to show them and make a living with it. However, her current neighbors are complaining about the noise she makes while sculpting (with hammers and a blowtorch) so, she needs to move. Also, she caught her boyfriend/fiancé cheating on her in her apartment which is another reason to move. Tate sees an ad about a cheap apartment but it’s in the Golgotham area of New York City. In this world, there are magical creatures living openly but they’re often live in the same area and in NYC that’s Golgotham. Tate goes to see the apartment and it’s bigger than her previous one. She also meets the landlord, a young man whom she’s instantly attracted to even though he’s a Kymeran, a six-fingered man who was born with magical powers. Hexe is a sorcerer but he only uses right hand magic, which means healing magic. Of course, he could make a lot more money by doing curses, like most other Kymerans. That’s why he needs renters. He also has a demon familiar which looks like a cat and can talk (disdainfully). Tate decides to move but finds out quickly that normal humans don’t want to deal with Golgothamites at all, to the point where taxis and moving vans simply don’t go in to that area of the city. Fortunately, Hexe knows a lot of people in Golgotham who can help her. Then Tate thinks the sees a cat or a puppy in distress, but when she goes out to help it, it turns out that the animal is much larger: a werecreature. 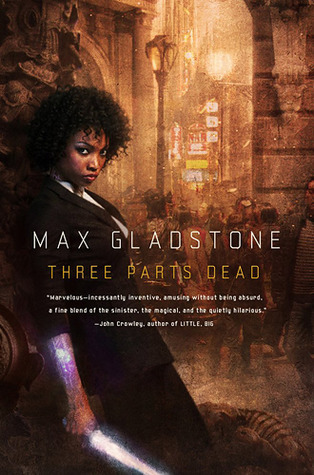 Through him Tate and Hexe find about a despicable way that the local mafia boss is using magical people and creatures. 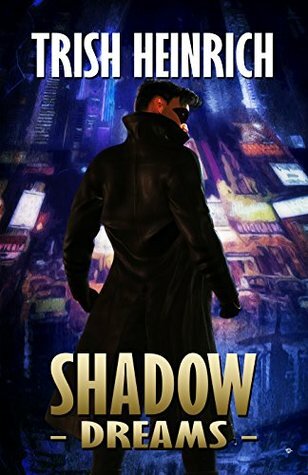 The story is set in New York so it’s definitely urban fantasy. In addition to the Kymerans, the world has plenty of fantasy creatures such as centaurs, who draw taxies, leprechauns, dryads, and dwarfs. Humans consider them exotically curious creatures, at least when they don’t have to deal with the magical races daily. Many humans are racist against them, though, and some magic creatures are similarly racist against humans. The story is focused on exploring Golgotham and some of the people who live there. Hexe also has some secrets of his own, although I guessed most of them pretty early on. Tate and Hexe are immediately attracted to each other but Tate has trouble trusting a boyfriend candidate and some people can’t accept a human and Kymeran as a couple. An action plot doesn’t kick in until late in the novel; mostly it’s about Tate and Hexe getting to know each other. I enjoyed this book because of the characters. Hexe is great: he has principles and isn’t afraid to stand by them. He’s also a healer who refuses to deal with curses. However, that refusal doesn’t really affect his finances; it would have definitely been far more impressive if it did. Tate is an artist and not the delicate little flower type. She’s impulsive and sometimes blurts out things when she shouldn’t. She’s also loyal and wants to protect animals. She also doesn’t know much about the Kymerans or the other magical races, but she’s not prejudiced against them and is willing to learn. On the other hand, she’s not a martial artist nor does she have any magical powers. While it was somewhat refreshing it also unfortunately makes her a sideliner (or a hostage) in fights. I also really enjoyed Hexe’s familiar Scratch and his disdainful attitude towards, well, everyone. The story has a more relaxed pace and far less battle than most UF. It can be read as a stand-alone. The fourth book in the Invisible Library fantasy series. 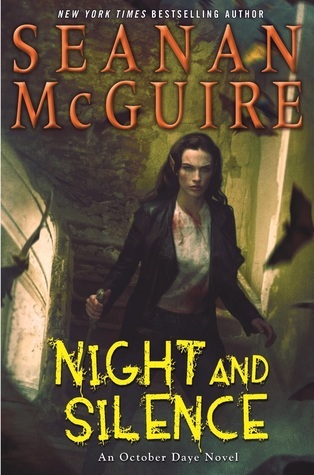 Irene Winters is retrieving a book from an alternate world which has vampires. Or rather she wants to exchange one book for another. Unfortunately, the vampire who has the book Irene wants (John Webster’s Guise) has other ideas. Irene manages to escape but at her hotel, a dragon in a human form is waiting to speak with her. The dragon, Jin Zhi, requires a very specific book to get a high position in her queen’s court. The book is the Chinese classic Journey to the West but this specific version has a lot more dragons in it. But what really alarms Irene, is that Jin Zhi claims that her competitor for the position already has a Librarian helping him. The Library between various alternate worlds has survived because of their carefully maintained neutrality with regards to the dragons who are creatures of order and the fae who are creatures of chaos. However, if a Librarian is seen helping a dragon, that neutrality can be compromised, perhaps even lead to war. Irene refuses to help Jin Zhi and instead hurries to report to her own superiors. However, Irene’s superiors order her to go the alternate world where the Librarian in question is and find out what happened. Irene and Kai set out to alternate US which is mostly the equivalent of 1930s US: the prohibition is in full force and gangsters roam the streets of New York, battling each other and the police with tommy guns. The Lost Plot is more a stand-alone than the previous two books. It draws heavily on the dragon politics which have been explored somewhat in the previous book, but doesn’t necessarily require reading the other books. But they’re fun and exciting so why not. Kai, Irene’s underling and a Librarian in training, could be compromised rather badly, but he follows and supports Irene loyally. He’s not thrilled to be involved in a conflict between two noble dragons. I love dragons and I was really happy to see more of them. Both Jin Zhi and her competitor are quite snobby about their own status. This is a very fast-paced adventure and the 1930s setting was used well. Irene must deal with a greedy, know-it-all mob boss and a corrupt police chief. Irene gets to hone her acting abilities as she once again goes undercover. However, the change in setting also meant that Peregrine Vale barely makes an appearance and the Victorian and steampunk overtones are gone. Also, it doesn’t advance the overarching mystery of Irene’s parentage or if the senior Librarians are hiding anything (although we get a few clues that they do). But I don’t mind any of those. 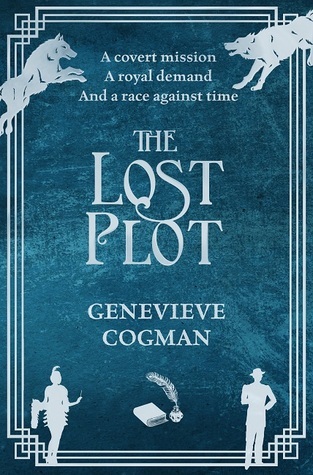 I thoroughly enjoyed the Lost Plot and I’m eagerly looking for the next book. The first book (or the third book in the internal chronology) of the fantasy Craft Sequence series. It was part of 2017 Hugo reader packet so I’m including it in the mount TBR challenge. Kos Everburning is the last living god in the city of Alt Coloumb. After the God wars there aren’t any others left. Abelard is His technician, a junior priest who usually tends the fires of boiler room which gives warmth and energy to the whole city. Kos is the god of fire and without him the trains don’t move and steam engines will die. Then Kos doesn’t answer prayers anymore. All Tara Abernathy ever wanted to be is a Craftswoman, a powerful sorcerer. When, after years of study, she was literally thrown out of the Hidden Schools, she must build her life again. She returns to her rural home and tries to fit into the sleepy town where people are afraid of anyone using magic. When raiders hit the town, she just wants to help her parents and the other townspeople, but they don’t want her there. Fortunately for Tara, a powerful Craftswoman Elayne Kevarian appears and offers her another option: become a junior associate in the very powerful and old necromantic law firm Kelethres, Albrecht, and Ao. The offer is, of course, only valid if Tara can perform well on her first job which is to resurrect the last living God who has been murdered. Tara needs to find out just what happened before Kos died. Also, Judge Cabot was murdered around the same time and Tara thinks that the events are linked. The young priest Abelard is horrified to heard about the death of his God but is assigned to help Tara. Tara is a very determined and ruthless woman. She’s also very good at her job as a Craftswoman. Still, she also needs to be a detective to crack this case. She’s never been to Alt Coulumb and worships of gods is familiar to her only on an abstract level. Abelard is at his home but the foundations of his life have been shaken. He’s somewhat reluctant to work with a godless woman but is, of course, willing to help in any way. He chain-smokes constantly. This is his habit from serving a fire god but now he also feels the bad side effects from smoking. Apparently, when Kos was alive, He did away with the side effects. Oh, no romance is even implied, which was great. Along the way, we meet some other characters, such as Tara’s former teacher, a vampire pirate captain, and servants of blind justice. Lady Kevarian is another very efficient and ruthless woman who has been a Craftswoman for decades. She’s mostly a mentor figure but we also get her POV briefly. My favorites turned to be the gargoyles who were the servants of a goddess who is now dead. The gargoyles, Stone Men, were the city’s guardians while the goddess was alive and now they’re considered little more than animals. Now, the guardians of the city are the Blacksuits, ordinary men and women who are sometimes, when needed, overtaken by the will of the goddess of Justice. I found them fascinating, as well, especially since the goddess of Justice is a recreation of a dead deity. Alt Coulumb is definitely a modern city with driverless carriages and steam trains, not at all like a Middle Aged or Renaissance city. We get to see mostly the seedy underside of the city, the clubs, warehouses, and the harbor. In contrast is the Church of Kos with quite wealthy-seeming priests and junior technicians. The magic, or craft, feels like a science with precise rituals and tools needed to do it. The plot is fast-paced and the world is fascinating. I enjoyed the characters, too. The third book in the historical superhero series set in 1961 USA. It can be read as a stand-alone but you get more out of it by starting with the first book, Serpent’s Sacrifice. Chronologically, this book goes between books one and two in the Serpent series because it follows Marco Myers, the close friend of Alice Seymore who is the heroine of the two first books. At the end of Serpent’s Sacrifice, Marco and his best friend Lionel left Jet City and Alice. They were looking for a cure for Lionel, but later they parted ways. Now, Marco is a private detective in Metro City trying to scrape together a living. His aunt Allegra, who owns a gym, helps him from time to time. He also has an assistant Colleen Knight who is a black woman with secrets of her own. Marco used to be superhero Shadow Master. He can sense others’ emotions and using shadows which come out of him, he can manipulate others’ memories and emotions. Unfortunately, he can only affect bad and hurtful memories, forcing the other person to relive them. He hasn’t used his powers much during the past year. Now he’s plagued by dreams of a boy he doesn’t know. He has only one person left who could lead him to the cure and when he dies in Marco’s arms, he’s at a loss at what to do. However, a beautiful woman approaches him, telling him that she’s just escaped from a facility where superpowered people are held and experimented on. She can help Marco find the cure if he helps her and the doctor who escaped together with her. Out of options Marco agrees but that means that her enemies are now his, too. Colleen is the granddaughter of a mafioso boss. Her mother Tina is also a mafioso, but never been able to protect Colleen from her grandfather. Colleen has fire-based powers, but she’s always tried to suppress them and doesn’t control them well. Her brother Andrew is missing and she hasn’t told Marco that she’s trying to find him. When she finds out that Andrew was working in the place that experiments with superhumans, she realizes that he might be a prisoner there, too. And that Andrew likely has secrets of his own. Colleen doesn’t want anything to do with her family. She fell in love with a woman while she was in collage and she’s hiding her sexuality in addition to her powers. Her grandfather knows her well and knows just how to blackmail her. The only one she loves in her family is her brother. She’s not comfortable with her powers at all and has to learn to use them. Marco is a sensitive man. He loves Alice but thinks that she loves his best friend Lionel and he’s desperate to find a cure for Lionel. He has to confront quite terrible things from his past in addition to dealing with the people who hate and fear superpowered people. The story is again quite grim and intense, with lots of people getting hurt and Marco dealing with betrayals. The pace is quick with lots of twists. I really enjoyed most of the characters. Marco is a tortured hero trying his best to do good. Colleen’s family dynamics were very interesting. Some of the more minor characters had depth, too, such as Tina and Marco’s aunt Allegra. I hope we get to see more of Colleen in the future.